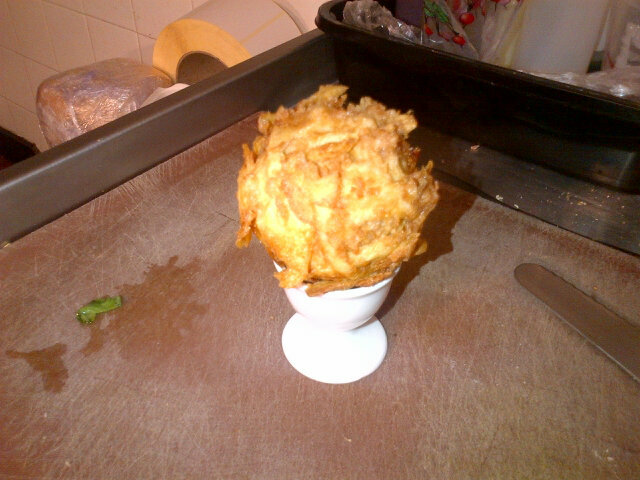 The Ship in Wandsworth was the eggstraordinary site for last night’s 2012 Scotch Egg Challenge. I followed the challenge last year and blogged last year’s winner. This year, I got a blow by blow account of the event, thanks to Twitter and #ScotchEggChallenge. Congrats to the winners and all who participated last night. Eggcellent work! Posted on 26, September 2012, in Food and tagged #scotcheggchallenge, Bladebone Inn, Hinds Head, Scotch Egg Challenge, The Drapers Arms, The Ship, Wandsworth. Bookmark the permalink. Leave a comment.